At the Munich Olympics of 1972, less than three decades after the Holocaust, Jews were murdered on German soil – because they were Jews. Because they were Israelis. The Olympics has historically been a place of peace where even warring nations could come together and compete in the sports arena, rather than on the battlefield. On September 5th, 1972 that changed with the first ever international terrorism spectacle that unfolded on live tv as frightened people around the world watched. PLO Black September terrorists broke into the Olympic Compound, taking 11 Israeli athletes hostage. During the 22 hour standoff the hostages were beaten. Champion weightlifter Yossef Romano who had tried to fight off the terrorists and save his friends, was shot, castrated and left to bleed to death in front of the other, helpless, hostages. Repeated attempts to give the athletes the recognition they are due have fallen on deaf ears. In 2012, in honor of the 40th anniversary of this tragic event, organizations, communities, families from around the world sought recognition of this event by requesting that the International Olympic Committee approve 1 minute of silence in their memory at the opening ceremony of the 2012 games. The request was denied. That’s why the Israel Forever Foundation created the Munich Memory Project. It is up to us to make sure this event is not swept under the carpet of history. When UK’s Labour leader Jeremy Corbyn honors terrorists that committed this atrocity saying “he was present but not involved at a wreath-laying”, it is not up to us to change Mr. Corbyn. At the same time, it is up to us to question what is happening in the UK that enables antisemites to take on prominent political roles. It is up to us to wonder, to ask, to demand answers why so many British feel it appropriate to elect such a man. It is up to remember the athletes, to learn their names, to honor their legacy. It is up to us to make sure it is known, that like the Israelis of today who use their own bodies as human shields to protect friends and loved ones from terrorists, the Israeli athletes in Munich also fought to save their friends, endangering themselves to save others. In Munich it was Moshe Weinberg who, sensing the danger, threw himself up against the door, screaming at his friends to escape before the terrorists could enter. Gad Zavarj survived because Moshe blocked the terrorists, giving him enough time to jump out of the window. Yossef Gutfreund did the same, blocking the door so his roommates could escape. Their legacy is not the ugly death at the hands of vile terrorists, their legacy is the sublime gift of life they gave their friends. It is up to each and every one of us to remind first ourselves, and then the rest of the world that Munich was the beginning, not the end of terrorism spectacles. First came Munich, then came hijackings, then came 9/11, bombings, car rammings and knife attacks. London, Paris, Bali, India, Mombasa and Russia. What terrorists did to their victims in the Bataclan is what they learned from what the Black September terrorists did to Yossef Romano. What starts with the Jews does not end with the Jews. 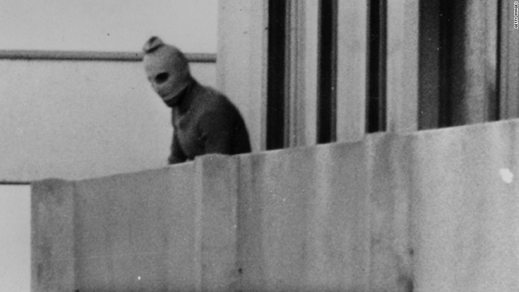 The horror of the Munich Massacre is not an Israeli problem or even a Jewish problem. It’s a human problem. All decent people should be able to easily say that kidnapping, torture and abuse is wrong. All decent people should be able to easily say that there is no place for politics (or terror tactics meant to influence politics) in sports. But what happens is not up to “all people”, it is up to each and every one of us, as individuals to choose if and how we will respond. 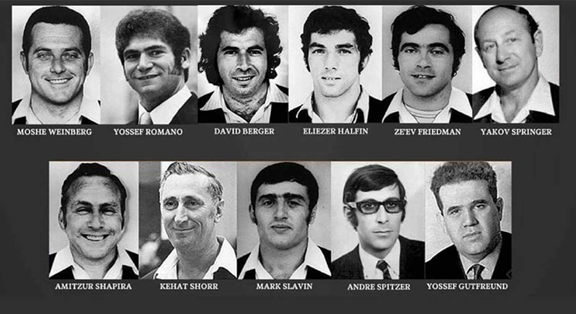 I’m pleased to be a part of the Israel Forever Foundation where we have chosen to honor the legacy of the murdered – as athletes, friends, family stolen from our people. We will stand for them – even if no one else will. Remembering Munich isn’t just about commemorating a past tragedy, it’s about protecting our future. It’s a statement that murdering Jews just because they are Jews, just because they belong to the Nation of Israel is totally unacceptable. It’s a statement that the Jewish right to life is the human right to life.